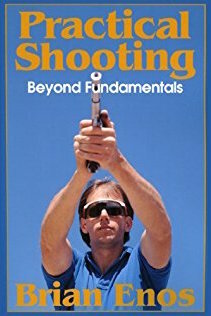 Brian Enos’s Practical Shooting, Beyond Fundamentals – often considered the competitive shooters bible – includes in-depth coverage of the technical and mental aspects of training and competition, and will provide new concepts as you continue to improve. 10% discount for QTY 2. 15% discount for QTY 3. 20% discount for QTY 4 or more. Brian Enos’s Practical Shooting, Beyond Fundamentals – often considered the competitive shooters bible – includes in-depth coverage of the technical and mental aspects of training and competition, and will offer new insights as you continue to improve. This isn’t just another “how to fire a gun” book. This one talks about shooting…. The keys to consistent, high-speed shooting are within you right now. This book will show you ways to bring them out. Through Brian’s advice, you’ll learn how to recognize and break down the barriers that are limiting your performance—you may begin to look at shooting in an entirely different way. You’ll learn to pressure-proof your match performance, how different types of shooting require different focal points, and you’ll see how to develop an attitude that will let you reach beyond what you thought was your potential. You’ll find a comprehensive set of exercises that will develop and sharpen your skills. You’ll see how it’s possible to drive the gun to wherever your eye can look. You’ll discover that everything you need to know about your technique is told by the gun, if you know how to listen to it. And all the challenges and advanced techniques of practical shooting are covered too: prone, barricade, single-hand shooting, multiple targets, reloading, shooting on the move, and much more. You’ll also get inside tips on IPSC strategies, steel shooting, shootoff tactics, Bianchi, and more. This book will give you all the fundamentals of practical pistol shooting, but then it will show you ways you can take yourself far, far beyond them…Ya follow? NOTE: All the below links open in a new window. The name Brian Enos will be familiar to anyone with even a cursory knowledge of the action shooting sports. In the late 1970s and early ’80s Enos and his good friend Rob Leatham revolutionized competitive shooting forever by developing techniques allowing pistol control – and a level of performance – previously impossible. They did this by questioning everything, throwing out many of the sacred cows like the Weaver Stance espoused by the experts of the day, and embracing anything-no matter how unconventional – that worked. The techniques they developed (for a few years, until the other guys could adopt the same techniques to catch up) didn’t just put Leatham and Enos ahead of the rest of the best in the world – they were in an entirely different CLASS. 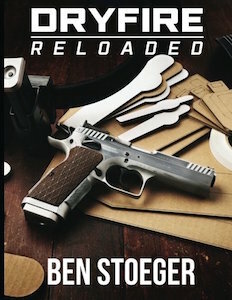 Practical Shooting, Beyond Fundamentals has been called by those who’ve read it, “Zen and the Art of Pistol Shooting.” It’s also been called a book written by an IPSC Grandmaster Class shooter that you have to be an IPSC Grandmaster to understand. There is a certain amount of truth to that. Most books on handgun marksmanship will tell you that truly high-level shooting really has very little to do with equipment and technique, and is 95 percent mental… and then spend 95 percent of the rest of the book talking about equipment and technique! Enos tells you shooting is 95 percent mental and then spends 95 percent of the rest of the book talking about mental states of consciousness. The reason no one had never written a book like this before, and why some people find it impenetrable even today, is because it’s just damn hard to describe a mental state of consciousness in such a way that someone who’s never experienced it can understand what you’re talking about. 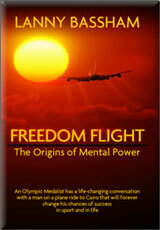 This is definitely a book that benefits frequent re-reading as your skill level improves. The first time I read Beyond Fundamentals I was lost throughout most of it. “What the hell is this guy talking about?” I thought. A few years later, when I read it again, I found it much more comprehensible because, in the intervening time frame, my skill level had improved to the point where I could just barely brush the edges of a lot of the stuff Enos was describing. Then, I found the book was going by fairly fast, and was absolutely fascinating reading. I was saying to myself, “This is so cool. I’m already 40 pages into this thing and he hasn’t said anything I don’t understand yet.” The foreword to the book was written by Rob Leatham, in which he sums up neatly just what makes this volume special: “Brian was one of the first people to go beyond hold the gun like this, look at the sights, squeeze the trigger, and the same basic line you’ve heard forever. Back when everyone else was experimenting with checkering, Brian was trying to figure exactly what you really should pay attention to and what you shouldn’t pay attention to, what is important and what isn’t important. There are still probably only five or six people in the world who really know how to tell you what is happening while you’re shooting. 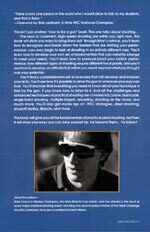 You can ask Brian and he probably knows exactly how it happens, not just what he thinks makes it happen.” Enos takes ideas from sources as far-flung as bull’s-eye shooting, golf, martial arts, and even motorcycle racing and synthesizes them. His sources are as diverse as John Satterwhite, Bill Blankenship, Ed McGivern, Bruce Lee and “a lot of other people whose names I didn’t catch.” At times this book will impress you as being more a tome on Buddhist philosophy or some Eastern fighting system than a shooting manual. Not to worry though, for those of you who want instruction in technique it is here in abundance: in-depth discussion on the biomechanics of shooting, written by one of the best shooters in the world. And while reading that may certainly improve your performance, if you really want to excel it’s the “hard to understand” portions of the book – the discussions of mental states – that will over the long term prove the most invaluable, and will eventually take you the farthest. Enos does not discuss self-defense tactics in his book – it’s about pure shooting skill. Some folks of the “martial artist” persuasion might opine, “Well, I don’t have anything to learn from a guy like Enos. I’m a combat shooter and he’s a gamesman.” Frankly, in my opinion, any defensively oriented handgunner who honestly believes he has nothing to learn from an IPSC Grandmaster Class shooter is delusional. I’m a handgun “martial artist” myself, and just smart enough to realize that IPSC Grandmasters have reached the pinnacle of fast and accurate handgunning. No one knows more about how to fire a handgun fast and well than these guys, and that’s definitely a skill that could come in handy in a real-life emergency! This is a classic text that should be part of every serious handgunner’s library. I felt as if I was spinning my wheels, a class “B” IPSC competitor with a burning desire to become the next Rob Leatham. I was consuming enormous quantities of ammunition in my quest, never obtaining the results I had expected. Then it happened; while viewing Steel Challenge highlights I noticed a tall fellow step into the shooting box. From surrender he drew and shot two plates in nine-tenths of a second! So calm and relaxed, he could have just as easily been reading a book in the park. It was awe-inspiring to say the least. They said his name was Brian Enos, and I just had to have his book. It was a mere five months from the time I had procured my copy of “Beyond Fundamentals”, to the time I received my USPSA Grand Master classification. From the moment I flipped the cover, I knew this one was special. First there was the Forward, written by the great one himself (worth the price of admission alone). There is no published, instructional material from Robbie that I know of, so this is a rare and truly valuable read. It also reinforces the fact that Brian Enos, the humble author, is not only the sounding board and collaborator of the greatest shooter ever, but also a sparring partner! Next there was the Preface and Introduction. Here Brian actually suggests an approach to reading his book. To me this was stunningly original, and a revelation. I followed his counsel, never rejecting or accepting what he wrote. I simply read without judgment. I didn’t know what “floating the gun” was, but I drove to the range to see if it happened as he had described. I distinctly recall that particular range session; I set up the familiar “El Presidente” exercise, and shot a time that I had previously thought was impossible. It was as if the gun functioned it self along the targets, while I simply observed. Floating the gun? Yes indeed. Sure, “Beyond Fundamentals” taught me how to do sub-second draws and reloads, but more importantly it introduced me to the “mental” game and the internal environment. Zen and Eastern philosophy took on a whole new persona with Brian’s writing. It was no longer a dull and boring subject. On the contrary, it was quite exciting! I began making regular trips to the local book stores, hunting for more on the topic. You see, through Brian I realized a definite correlation between these ideals and enhanced performance. In essence, “Beyond Fundamentals” served as an on-ramp to a highway of knowledge. Brian Enos is the quintessential student of the game. A kind of E.F. Hutton of the shooting sports. When he speaks, shooters listen. He is that rare individual who is blessed with the gift of not only being able to perform, but to articulate in detail how he, and others, do it. He is a veritable Bodhisattva. A person whose underlying motivation is not fame, fortune, or superiority. Rather, his drive is determining how and why a technique (both internal and external) functions, and then sharing that knowledge with you, so that you may obtain your dreams. You can rest assured that Brian has field-stripped every aspect of the game. If achieving my goals in the shooting sports is comparable to building a house, “Beyond Fundamentals” is my hammer. I may be able to live without my gun, holster, or reloading press, but I couldn’t live without this book. Each time I read it I learn something new. That is the definitive mark of a master piece. Beyond Fundamentals” taught me how to teach myself. At that point, there are no limits…. It was a pleasure to meet and talk with you at the Desert Classic in Phoenix. You may recall I picked up a copy of your book at the prize ceremony. Truthfully, I didn’t have such high expectations, and I’d heard from some that this book is a tough read, and they put it down half way… But I figured, why not? Worth a look. I don’t presume to know all there is to know about shooting a pistol, but I thought I had reached a point that I had enough experience, and knew how to analyze what I was doing well enough, so that anything I still needed to learn—I would be the one to teach myself. I have 10 years experience in Olympic Rifle shooting, prior to ever shooting a pistol, so I’m well familiar with much of the mental side of shooting. I really didn’t believe that a ten-year-old book would give me that much—but I was wrong. Brian, your book is BRILLIANT!!! I’ve read it once, and have gone right back to the beginning to read again and make notes. You’ve put into words so many points that were kind of floating around in the back of my consciousness when I shoot and think about my shooting. I feel I have a whole new range of things I want to go out to the shooting range and tryout. “Point of focus”—Multiple “easy” Type 2 targets (definition from the book), at about 6 yards. In the past, I would just blaze through such targets, and often end up with poor hits. I realized I wasn’t seeing what I had to, and forced myself to learn to see the dot on such targets. My accuracy was good, but I could sense that I was not able to pick up the next target fast enough go really smoothly through the array. Yesterday, I set up 4 IPSC targets (small European kind) at about 6 yards, spread out and up and down. Shot it a few times, and the best I could run was about 2.6-2.8 seconds for 8 shots, including the draw. I played around with it, and was able to shoot it in around 2.2sec, a 20% improvement from my previous technique. Anyway, I just wanted to say THANKS. Also, put me down for a copy of your next book. You have given me a new sense of enthusiasm about my shooting, and I look forward to my next practice. I have just read your practical shooting book and I just had to drop you a line to tell you it’s the best book on pistol shooting that I have ever come across. It great to know that someone out there can look beyond the mechanics of technique to the underlying principles. I have read a few other books but yours is the only one that I will re-read and still learn more from. As I am just starting shooting I was applying my previous knowledge of Tai Chi to try to find my best technique and I can see that it has already put me on the right track. Your book has filled in many gaps and answered questions I didn’t even know to ask. Not all of the techniques you describe are useful to me as here in England we can only use air pistols (and there’s a good chance that the best of those is to be banned shortly, that will leave me with airsoft!) but I’m beginning to understand the essence of shooting, thanks to your book, and I don’t think it’s too different from martial arts or eastern philosophy. 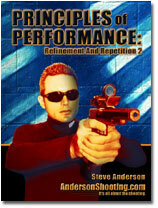 You wrote a tremendous book – Practical Shooting. I practiced martial arts off and on for 20+ years. I got my Dan ranking in Aikido and taught a few years. I have a pretty good background in ki and zen mind. As an adjunct to my martial arts, I also read and studied how the mind works. I have studied Silva, Ramana Maharshi, awareness meditation, plus Ken Wilber, Tolle, and others. Just reading the beginning chapter puts your slim book at or near the top of any other book – even classics like Zen and the Art of Motorcycle Maintenance. Yours is a book which transcends shooting. It is absolutely the best explanation of getting into and staying in the moment I have ever found. It beats hands down the esoteric writings of the various martial arts luminaries – Musashi, Ueshiba, etc. It would have been nice to have found your book back in the 80’s when I was much more active. Thanks. This is a book I will savor.